Dual-seat, all weather, day/night interceptor. 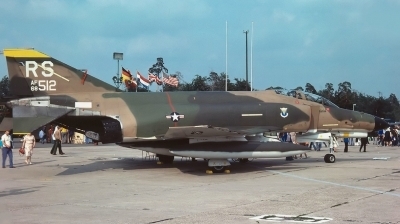 The McDonnell Douglas F-4E "Phantom II" is the version of the F-4 with an internal M61 Vulcan cannon in the elongated nose. 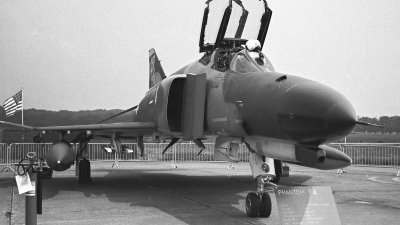 During the initial Phantom design phase, a version with an internal cannon had been proposed but was quickly ruled out by the idea of the time that the air-to-air missiles was the wave of the future and internal guns were obsolete. 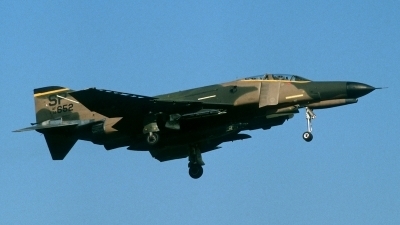 However, during the air-to-air battles over Vietnam, the use of missiles-only did not go as planned, and many MiGs escaped because the Phantom's missiles either malfunctioned or missed their targets. Thus, the need for an internal gun became obvious. 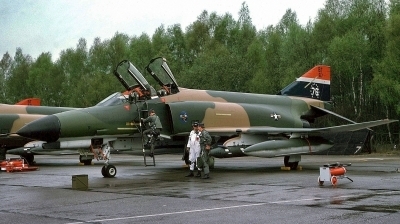 The F-4E was funded in June of 1965 and went on to become the most mass-produced version of the F-4 Phantom II family. 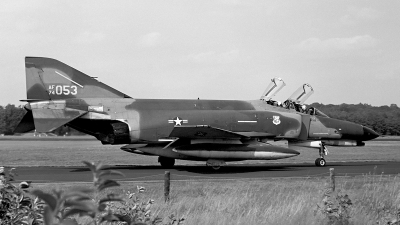 In addition to the internal gun a significant change was the addition of leading-edge slats which greatly improved combat maneuverability. 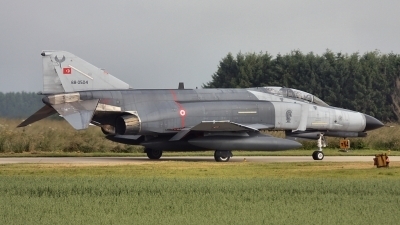 Continuous improvements in engines, radar, and weapons upgrades ensured that it stay in service well into the 2000s. Length: 63 ft. 0 in. Wing Span: 38 ft. 7 in. Height: 16 ft. 5.5 in. 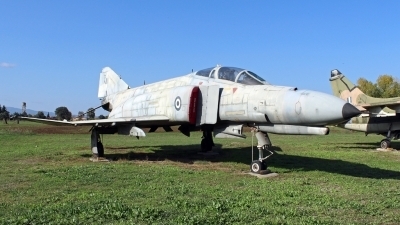 United States Air Force, Egypt, Greece, Israel, Iran, Turkey, Royal Korean Air Force, Royal Australian Air Force.